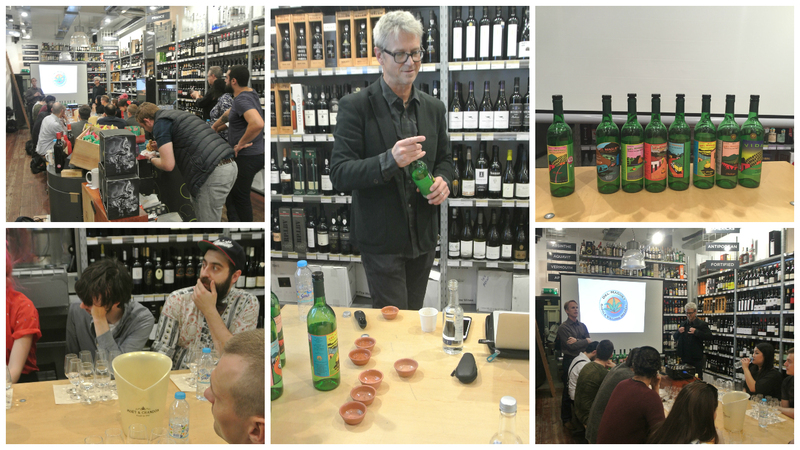 Last Monday (26th October) we welcomed Del Maguey into our Soho store for a special mezcal masterclass hosted by Michael Gardner and Steve Olson. 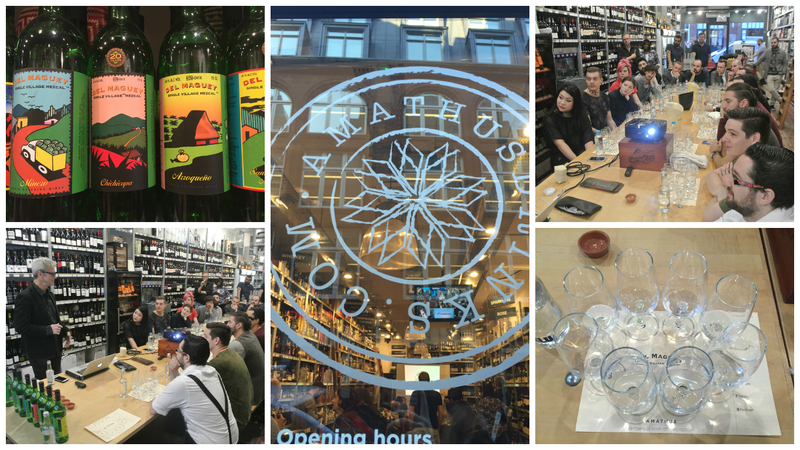 The masterclass was a rare opportunity for people to taste the mezcals, whilst learning about their history, heritage, culture and sustainability. 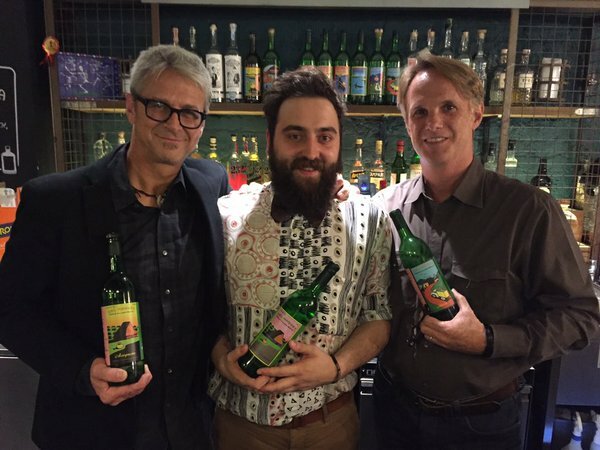 It was incredible to see how the mezcal category has changed since Ron Cooper (Founder of Del Maguey) began importing the spirit 20 years ago. Before Cooper, the wider world had little idea this organic, 100% agave product existed. Here’s how the story of Del Maguey began. In 1970, in a blur of tequila, Cooper and his friends questioned the existence of the Pan American Highway. Two weeks later, Cooper and his artist friend set off in a VW camper van on a four-month journey to find and travel down the Pan American Highway. It did, in fact exist and his experiences in Oaxaca lead him to discover mezcal which, to his surprise, fast became a spirit recognised all over the world. From this day forward, Del Maguey was born. 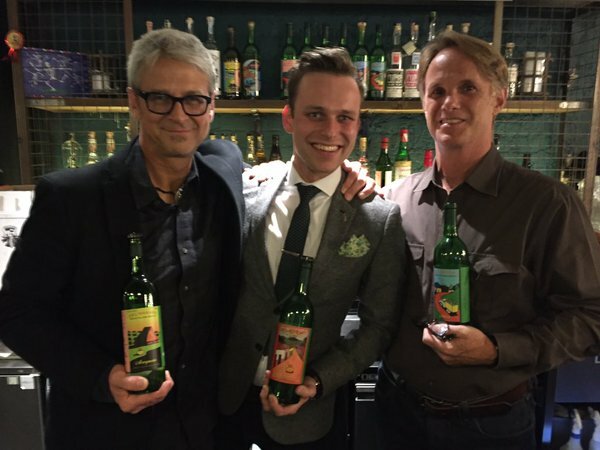 Thinking about it… If Cooper never travelled the Pan American Highway, where would mezcal be today? 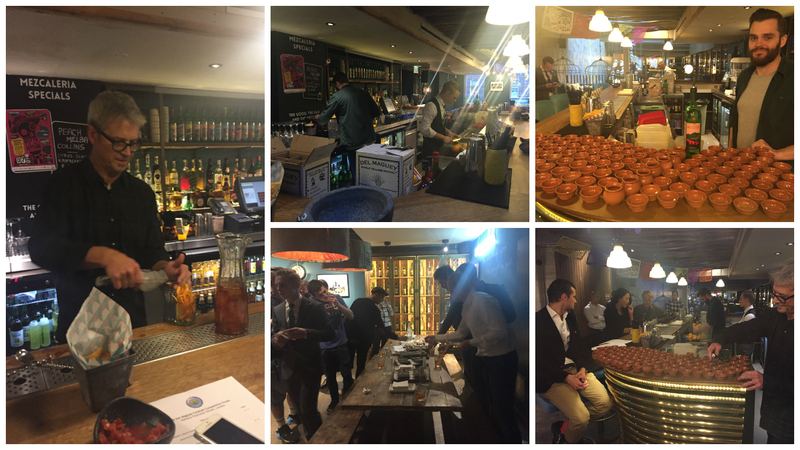 Once the masterclass had finished, it was up and off to Wahaca for the 2015 Del Maguey UK Cocktail Competiton final, where each bartender would be battling it out to win a trip to Oaxaca (home of Del Maguey). 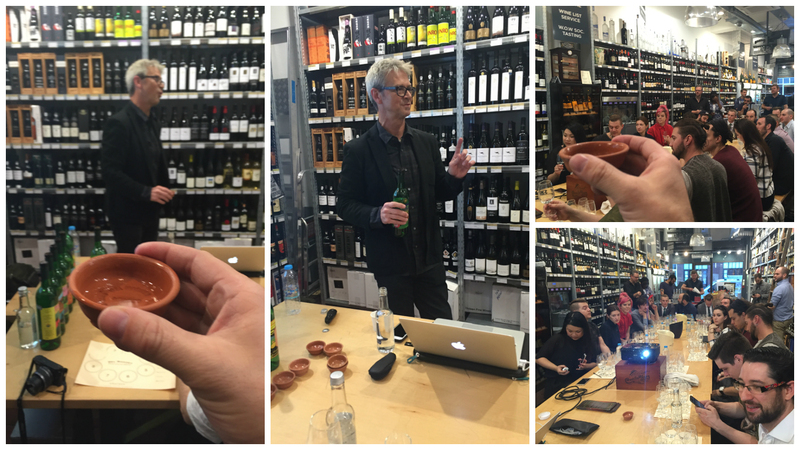 The competition kick started with a speech from Steve Olson where he welcomed everyone with a traditional Zapotec toast. The Zapotec toasts to life and the health of one another. While looking into the eyes of each of your companions, you must proclaim to the group ‘Stigibeau’ (Stee-gee-bay-oo) which can roughly be translated into.. ‘to all the good things’. At 4 o’clock the contestants were allowed to enter the room where they found a table containing all their cocktail ingredients. They then had time to prepare their drinks, which included 2 cocktails for the judges and a batch of 25 for the audience to try. All preparation had to be completed in time for the competition to start at 5 pm. When the competition finally began each competitor, in turn had 10 minutes to make and present their cocktails to the judges. Whilst the judges were sampling the cocktails the competitors were given extra time to finish their cocktail batch and hand it out to the audience. 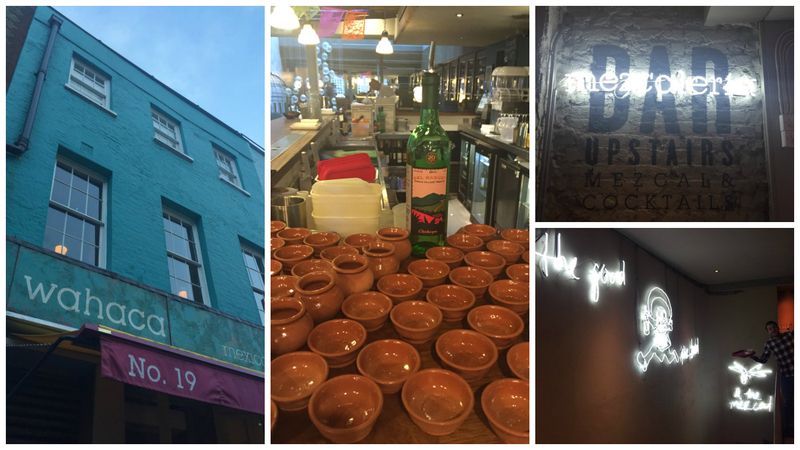 Whilst the competition was in full swing, Wahaca served up complimentary tacos and quesadillas for everyone to enjoy. Once everyone’s 10 minutes was up, all that was left was for the judges to make the winning decision. After a lot of deliberation, a decision was made and the winners were ready to be announced. 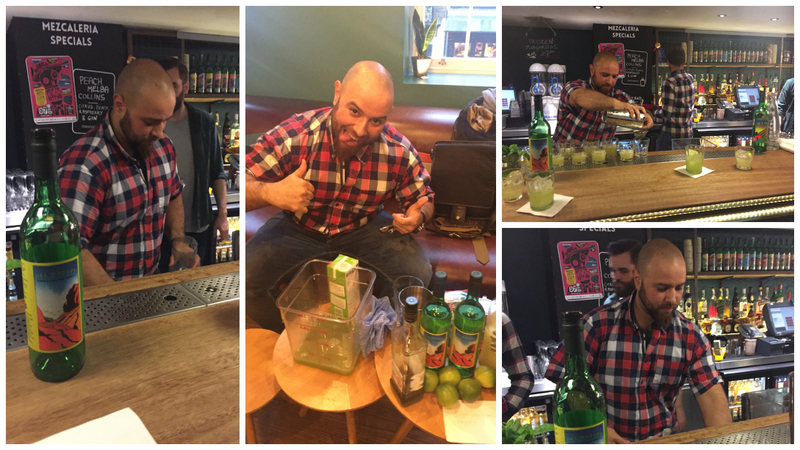 So without further ado, the Del Maguey UK cocktail competition winners were…. 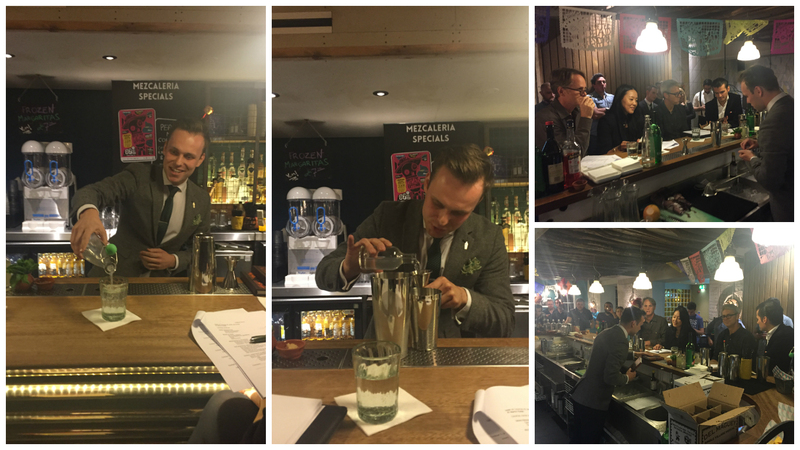 In 3rd place Martin Hudak from American bar at Savoy, London. In second place James Bowker from The Edgbaston, Birmingham. 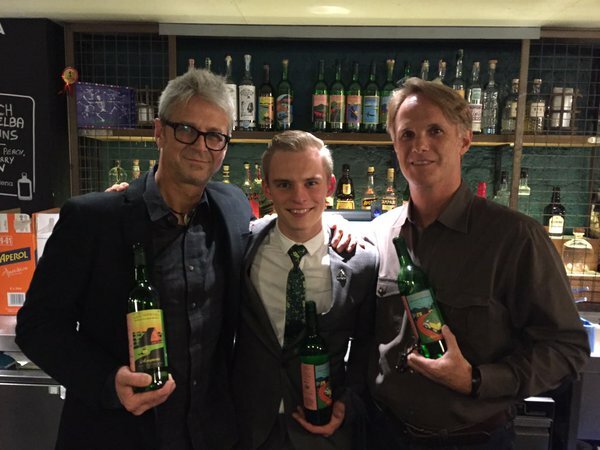 Martin and James didn’t leave empty handed, receiving a bottle each from the Del Maguey collection. Congratulations boys! So with 2rd and 3rd place out the way, all that was left was to announce 1st place…. 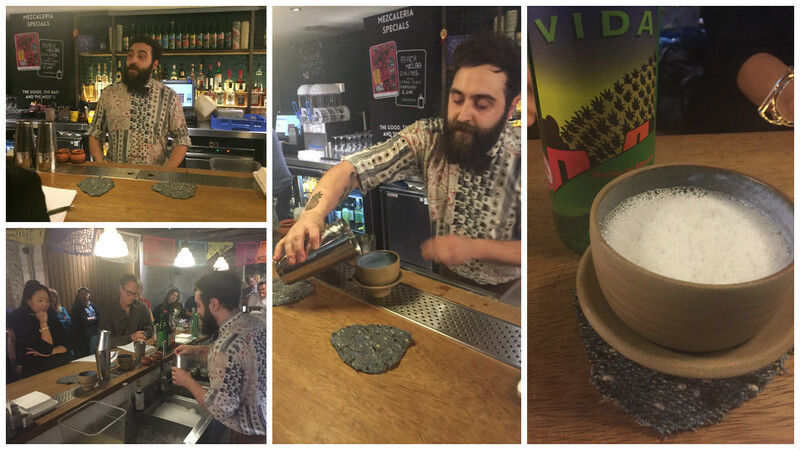 A huge congratulations goes to Alex Proudfoot from Crazy Pedros, who wowed the judges with his Del Maguey cocktail, A Life Less Ordinary. 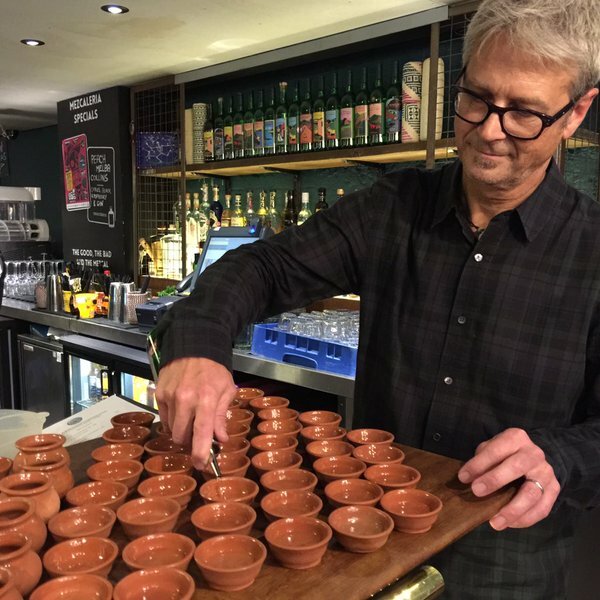 He gave an outstanding performance and is a well-deserved winner of the 2015 Del Maguey UK final. Well done Alex… now pack your bags, you’re of to Mexico! In true Mexican style, the competition ended with a final Zapotec toast, where Steve Olson thanked everyone for coming along. Salud! There’s not much left for me to say apart from a big thank you to everyone who took part and came to support. Thanks to the wonderful judges, Erik, Monica, Michael and Steve and finally to Wahaca for letting us host the Del Maguey cocktail competition in your amazing restaurant.